In her judgment on Wednesday, November 2, 2016, Justice Aboki sentenced the convict to serve two years on each of count one to forty four and fine of N300, 000 on each. Where the convict defaults the fine, he is to serve additional six months imprisonment on each count. From count 45 to 74, the convict was sentenced to fine of N500, 000 or twelve months imprisonment on each count while on count 75 to 105, he is to pay fine of N200, 000 or twelve months imprisonment on each count with the exception of count 97 which appeared to be duplication. The sentences were to run concurrently. The convict was also ordered to restitute the sum of N14, 815,000 (Fourteen Million, Eight Hundred and Fifteen Thousand Naira Only) to the Albasu Community or spend five more years in prison. The convict was a former staff of Oceanic Bank who was engaged and entrusted by the Albasu Community to take charge of their Microfinance Bank. 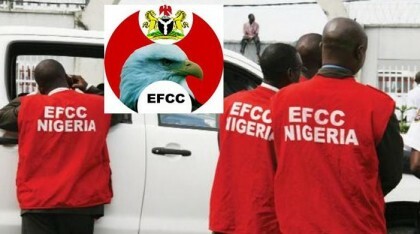 While in charge, the convict violated that trust and siphoned over N21, 000,000 (Twenty Million Naira) by forging signatures of the other signatories to the funds.